Gengraf (Cyclosporine) is used to prevent organ rejection in people who have received a kidney, liver, or heart transplant. This medication may also be used to treat severe cases of rheumatoid arthritis and plaque psoriasis. This is usually taken along with other medications to allow your new organ to function normally. How does Gengraf (Cyclosporine) work? Gengraf (Cyclosporine) works by weakening the immune system to help your body accept the new organ as it were your own. It is in the case of an organ transplant. This medication will also prevent further damage to your joints in case you have rheumatoid arthritis or skin damage like psoriasis. Gengraf (Cyclosporine) belongs to the class of medications known as immunosuppressants. This is a modified oral formulation of cyclosporine that forms an aqueous dispersion in an aqueous environment. This is available in 25mg and 100mg strengths. The active ingredient of this medication is Cyclosporine. The Food and Drug Administration (FDA) has already approved this treatment. How to use Gengraf (Cyclosporine)? The recommended dosage of this medication depends on your condition and response. 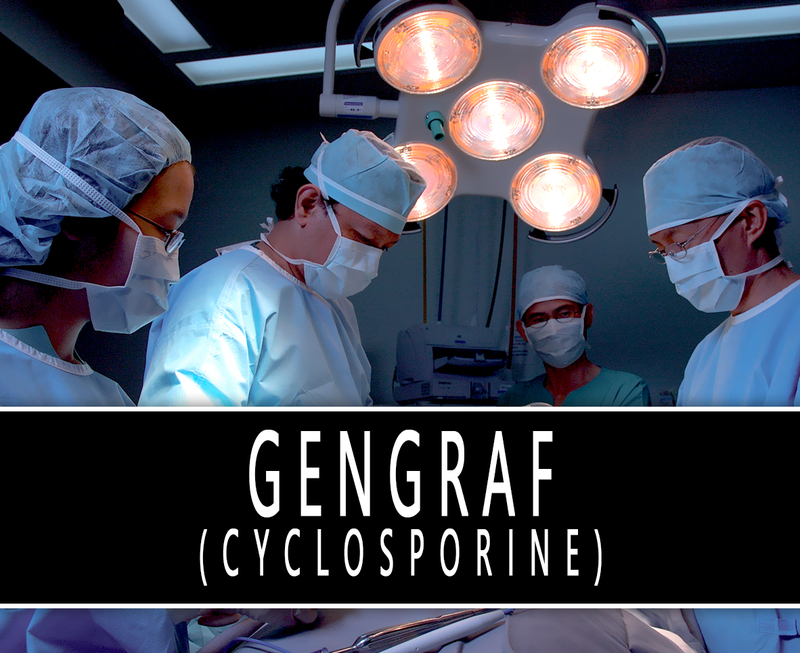 Gengraf (Cyclosporine) is usually taken twice a day. It is to be taken by mouth and at the same time each day. You may take it with or without food. You should choose one or the other and take every dose that way. If you take it with food, eat the same amount and type of food each time you take it. Swallow the tablet as a whole do not chew or break it. Follow the dosing schedule very carefully. Do not double the prescribed dosage to avoid some complications. Take this medication at the same time each day. What are the side-effects of Gengraf (Cyclosporine)? Before using this treatment, let your doctor know if you have any medical history, current medications, or allergies. If you are pregnant or breastfeeding women, consult a doctor first. You should not share this with others who have the same symptoms as yours.